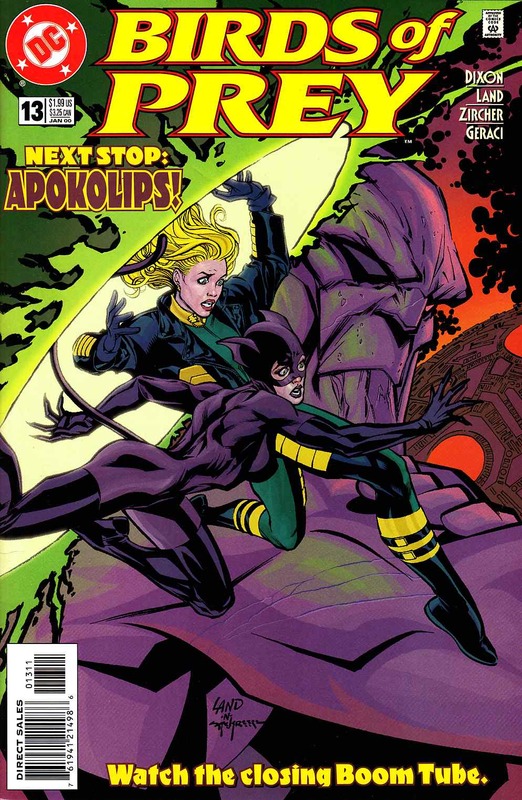 A guest-star packed issue finds Black Canary and Catwoman trapped on Apokolips! Stranded along with the Canary and the Cat: a group of super-villains with no hope of getting home. The ladies go on a desperate search for a Mother Box while, on Earth, Oracle calls in unexpected help in the search for Black Canary: Power Girl.